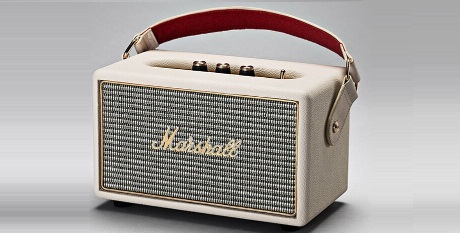 The Kilburn portable active stereo speaker takes the unmistakable look and sound of Marshall, unplugs the chords, and takes the show on the road. Weighing in at a taut 3kg, The Kilburn is a lightweight piece of vintage styled engineering. Setting the bar as one of the loudest speakers in its class. 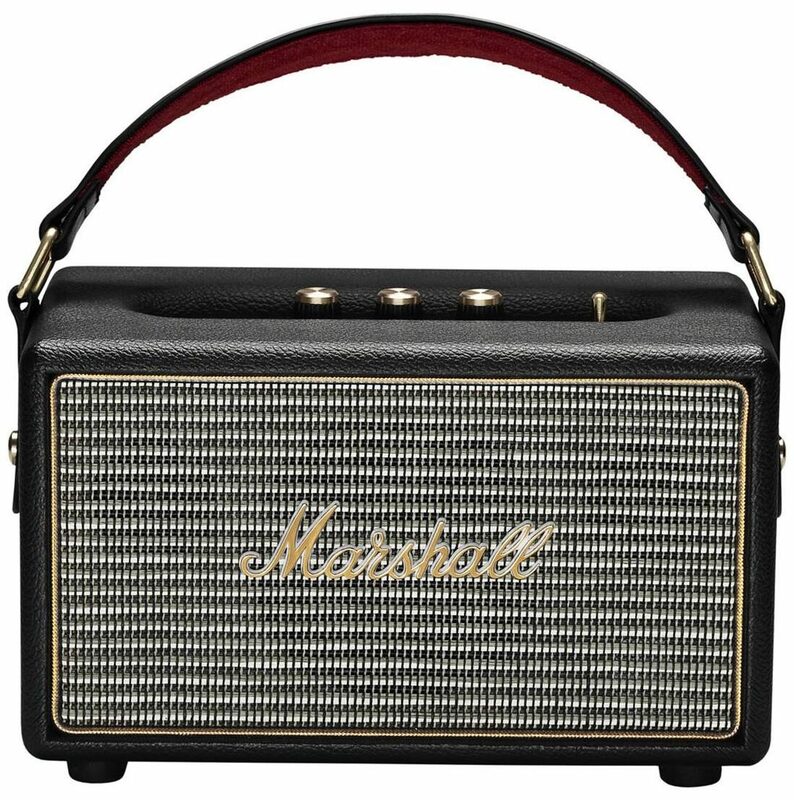 The Kilburn is a compact stout-hearted hero with a well-balanced audio which boasts a clear midrange and extended highs for a sound that is both articulate and pronounced. 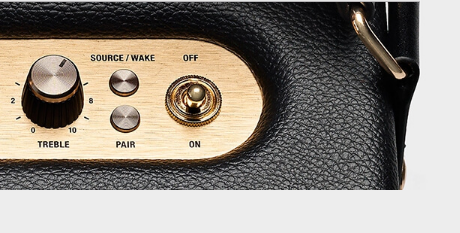 The analogue knobs allow you to fine tune the controls to your personal preferences while the guitar-influenced leather strap enables easy and stylish travel. A built-in battery life of up to 20 hours means the jams will be kicking for as long as you are. 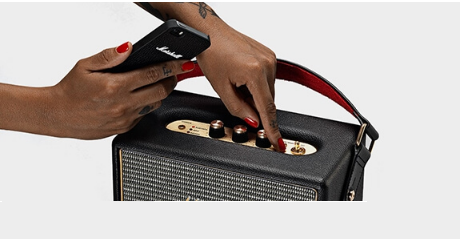 Use your Bluetooth-enabled smartphone, tablet or computer to stream music directly to your Kilburn with no wires attached.